Ladislao Kubala was the most famous of the Hungarians that played for FC Barcelona in the 1950s. 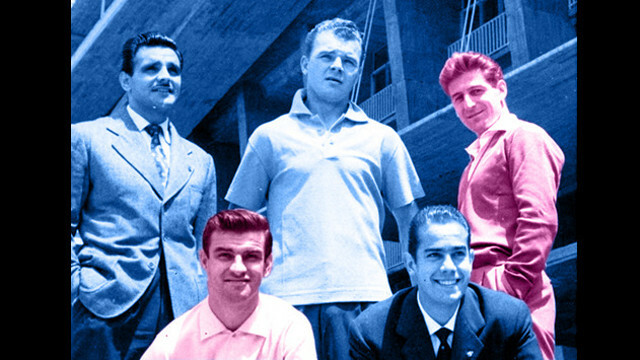 Hungary produced its finest generation of footballers in the 1950s, known to the world as the Mighty Magyars, and three key members of that team played a huge role in the legendary FC Barcelona team of the ‘Five Cups’ era. This fascinating video looks at the story of Zoltan Czibor and Sandor Kocsis, including interviews with the players’ own sons as they explain how they escaped from their homeland following the Soviet invasion, and were brought to Barça by fellow Hungarian Ladislao Kubala.